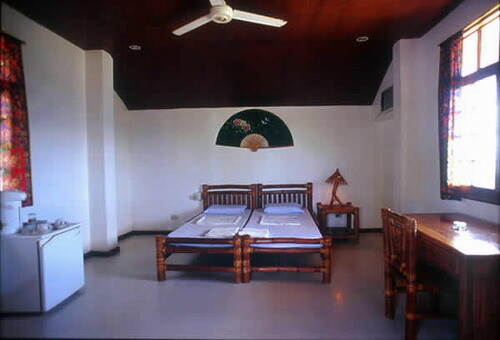 The rooms are spacious and decorated in a Filipino-tropical homelike style. Â The Marina Restaurant, an Italian restaurant serving also International and Filipino dishes for reasonable prices, is located at the swimming pool by the sea, about one minute from the rooms and cottages. 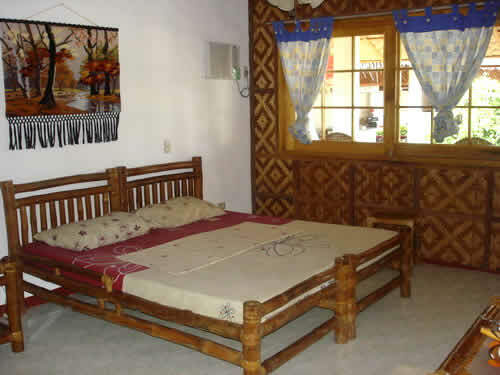 These rooms are equipped with two beds, have all aircon and fan as well as hot water. Additionally they are equipped with a mini-bar and a coffee-maker, where you can make your own complementary coffee any time of the day. Each room has about 3 beds and space for additional beds or mattresses. Aircon, fan, hot water, mini-bar and the coffee-maker are included in the room rate. Click here to get to our sister resorts in Moalboal, the Cabana Beach Resort Moalboal and the Sole e Mare Beach Resort Moalboal. The Cabana website contains also a lot of info about scuba diving in Moalboal.